April is a month of reflection and action as we celebrate the Earth Day on April 22st. Across Northern Virginia congregations are joining together to honor and protect the earth and its people. Please join in our efforts to make a sustainable, healthy and equitable world for all. 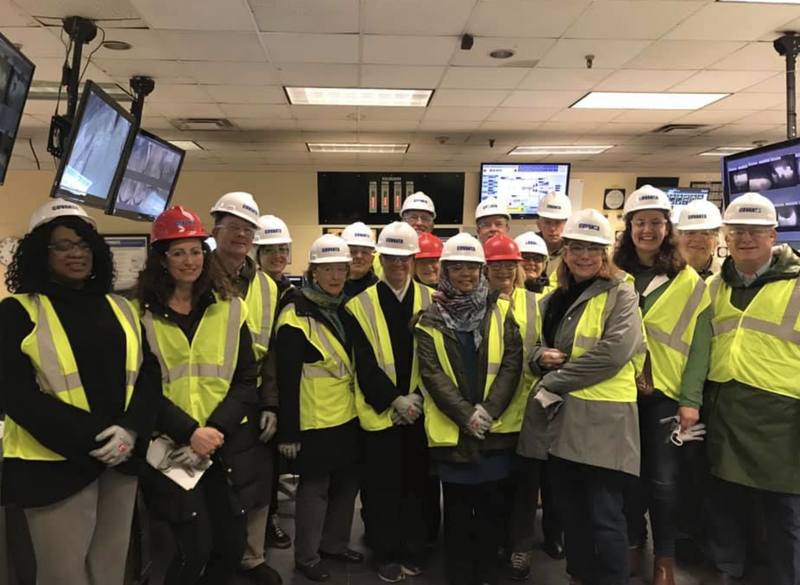 Members touring the Covanta Incinerator and the Fairfax County I-95 Landfill earlier this month! The Board of Supervisors Environmental Committee will discuss funding for and development of a Community-Wide Climate Action Plan. It is important to have a crowd listening and showing support. We will wear BLUE! Agenda and materials are posted here. The first ever joint Board of Supervisors and School Board Environmental Policy Meeting will take place on April 2nd. Agenda and materials are posted here for the meeting. They will discuss carbon freedom goals and an action plan to achieve them, a climate resilience plan to prepare for the effects of climate volatility on all county residents, workforce development for critical careers in energy and other climate-related industries, and an update on climate action work already happening at the county and schools. The public is invited and encouraged to attend and show support for this work. We will wear BLUE! The budget hearings will be held over a three-day period. Tuesday, April 9th beginning at 4:00 PM, Wednesday, April 10th at 1:00 PM and Thursday, April 11th at 1:00 PM. Two of our advocacy team members have volunteered to speak and represent FACS! Betty Ende will testify on Tuesday, April 9th around 5:30 PM and Jean Parcher will speak on Wednesday, April 10th around 3:30 PM. We are requesting FACS advocates to show up in support of our speakers and to wear BLUE! There is an option to submit video testimony. See instructions here: https://www.fairfaxcounty.gov/news2/fy-2020-budget-input/ You don’t have to do anything fancy and footage with your smart phone will do. Our Membership Engagement Manager, Jackie Verrecchia, has offered help in editing if desired. You can email her at jackie@faithforclimate.org. Video testimony is accepted up until 9:00 AM the day before the April 10th and April 11th hearings. This is a great option for members who are unable to attend. Written comments are also accepted. Email meg@faithforclimate.org with any questions. 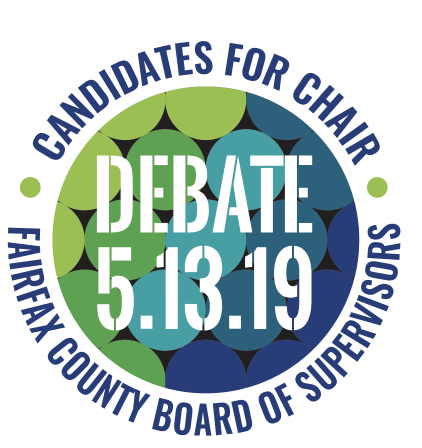 FACS has partnered with the Fairfax Healthy Communities Coalition for a Candidates Debate with the Candidates for Chair of the Fairfax County Board of Supervisors in anticipation of the primaries on June 11th. 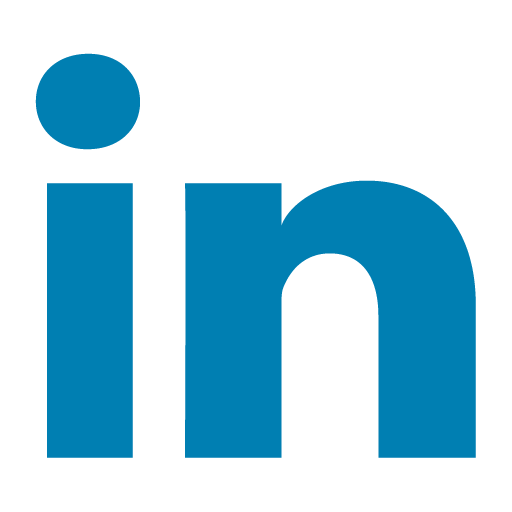 The debate will be held on Monday, May 13th at 8:00 p.m., televised live on Fairfax Public Access Channel 10’s Inside Scoop. Topics addressed will include climate change, affordable housing, transportation, land use and inclusion with a focus on intersectionality. Members of the coalition include FACS, the Coalition for Smarter Growth, the Northern Virginia Affordable Housing Alliance, the Audubon Naturalist Society, the Fairfax NAACP, the Fairfax Alliance for Better Bicycling, Friends of Accotink Creek, Chesapeake Bay Foundation, Audubon Society of Northern Virginia, Friends of Dyke Marsh, and Potomac Conservancy. When: Monday, May 13th at 8:00 p.m.
For Earth Day, we ask you “Share the Plate” with FACS. Earth Day is April 22nd and many congregations are joining in to celebrate creation on Sunday, April 28th! 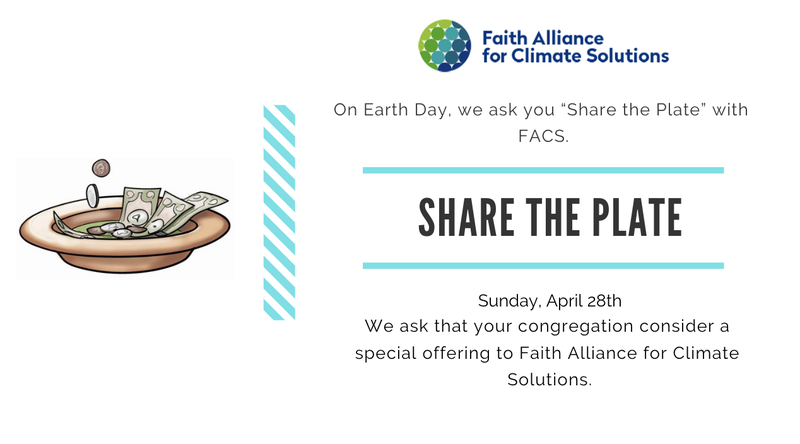 We ask that your congregation consider a special offering to Faith Alliance for Climate Solutions or make FACS the mission of the month in April. FACS can table after your service to talk about our work, share our work during the announcement portions of your service or provide you with resources to share with your congregation. Ask your clergy or leadership if your congregation can participate. FACS has many resources describing our work including a brochure, a description of programs, our recent advocacy work and videos about the link of advocacy and faith. 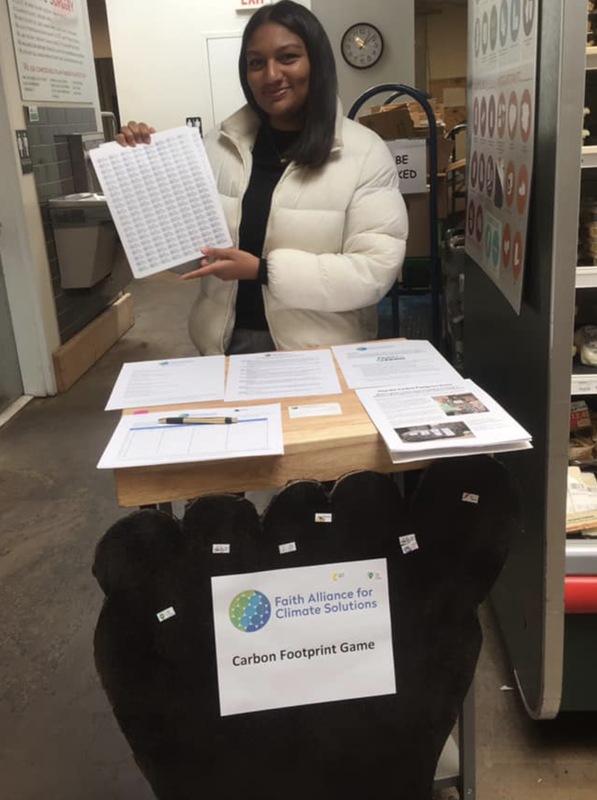 In honor of Earth Day, join FACS and congregations all across the region this April to play the Carbon Footprint game. FACS hosted a recorded webinar with tips to play the game. Thanks to Unitarian Universalist Congregation of Rockville, Unitarian Universality Congregation of Fairfax, St. Mark Catholic Church, United Christian Parish, McLean Islamic Center, and Northern Virginia Hebrew Congregation who plan to play the game this month! Join FACS at the Greenspring Retirement Community Earth Day Expo. Many different organizations will be represented and a hot vegetarian lunch will be provided. In honor of Earth Day, UUCF will celebrate our natural world. Using readings, prayers, meditation and music we will express our care and concern for Earth and offer hope for a sustainable future. Program by Rev. 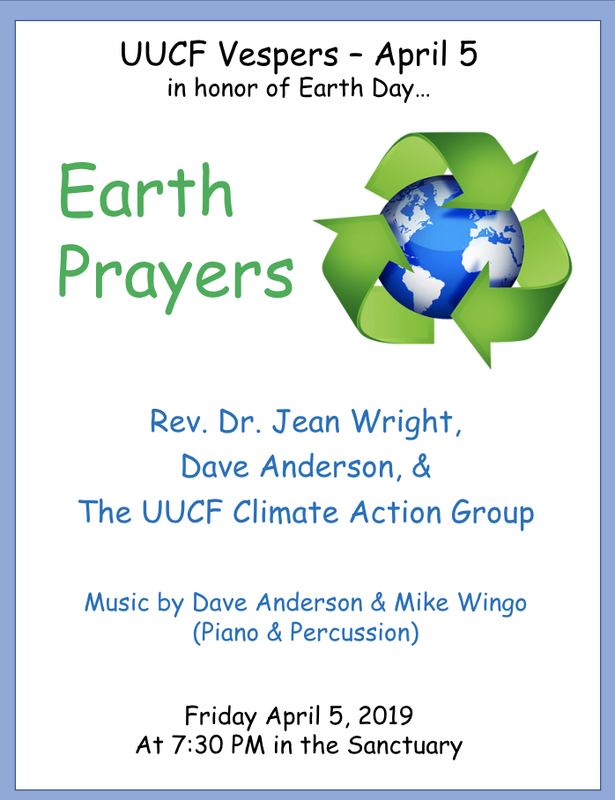 Dr. Jean Wright and Dave Anderson in association with the UUCF Climate Action Group. Music by Dave Anderson and Mike Wingo. Earth-friendly refreshments will follow. We love our donors! 2019 is off to a fantastic start, with exciting progress in Fairfax County, including movement on several of FACS’ key Fairfax to Zero priorities: 1) development of an Office of Environment and Energy; 2) commitment to solar on the schools and county buildings in 2019; and 3) implementation of the county’s first County Operations Energy Strategy. FACS recognizes and appreciates your role in this progress – thank you! 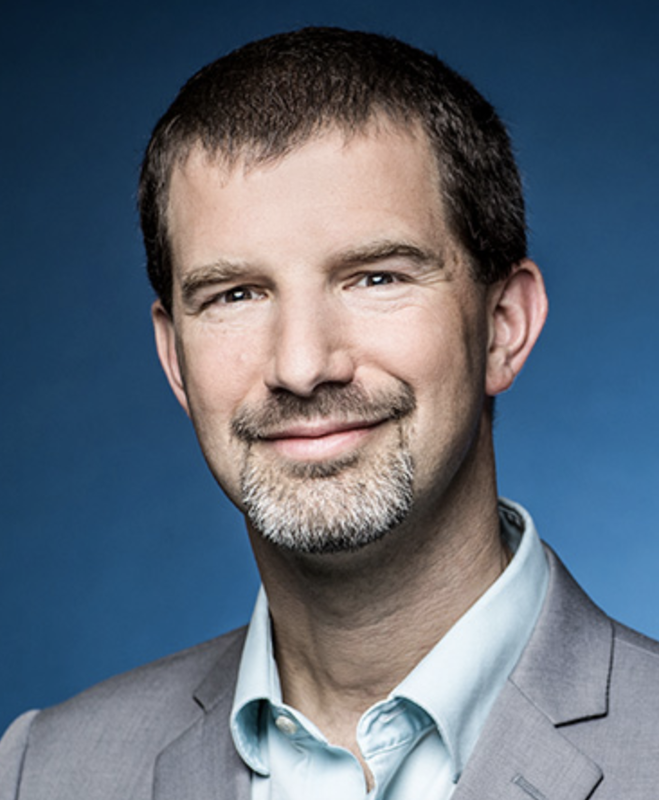 Kevin Rabinovich, Global Vice President of Sustainability and Chief Climate Officer for Mars, Incorporated (based in Fairfax County) will be our featured speaker. Kevin will share his perspectives on why big businesses care about climate change and the resulting importance of setting climate targets based on science, the unexpected benefits of those targets, or why bigger problems are sometimes easier to solve, and what the integration of climate strategy and business strategy looks like through an example of Mars’ work on renewable electricity. We look forward to seeing you there! RSVP Here. 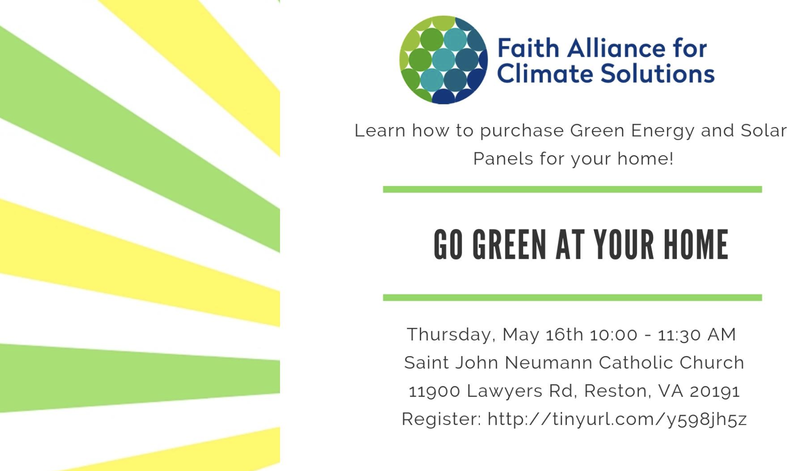 Join FACS at Saint John Neumann Catholic Church to learn how to purchase green energy and solar panels for your home. Bob More, a member of Saint John Neumann, will present on purchasing green energy and how to reduce your carbon footprint through energy choices at your home. Ryan Van Patten, a representative from LEAP, will teach participants how to go solar at their home, taking advantage of the county’s spring Solarize Campaign. Film screening of “Let us Be Heroes” and discussion afterwards. Second in a three-part series of film screenings that elaborate on solutions to climate issues. “Let Us Be Heroes” explores the impact of our food and lifestyle choices on our health, our home planet and our values by sharing inspiring stories from athletes, food and fashion entrepreneurs, a public speaker and an ocean warrior fighting to protect people, planet and animals. Watch the trailer here. RSVP Here! 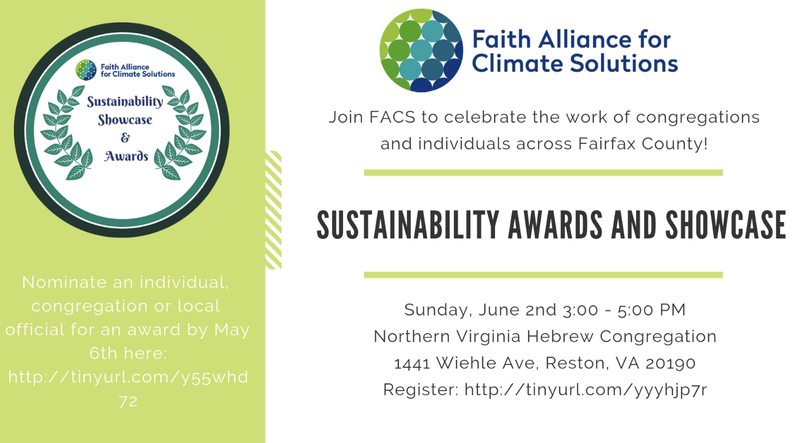 Faith Alliance for Climate Solutions is proud to announce our Showcase and Awards Celebration on Sunday, June 2nd from 3:00-5:00 PM at Northern Virginia Hebrew Congregation! Congregations are invited to host a table to display the work their congregation has accomplished this year. If you would like to host a table email jackie@faithforclimate.org. 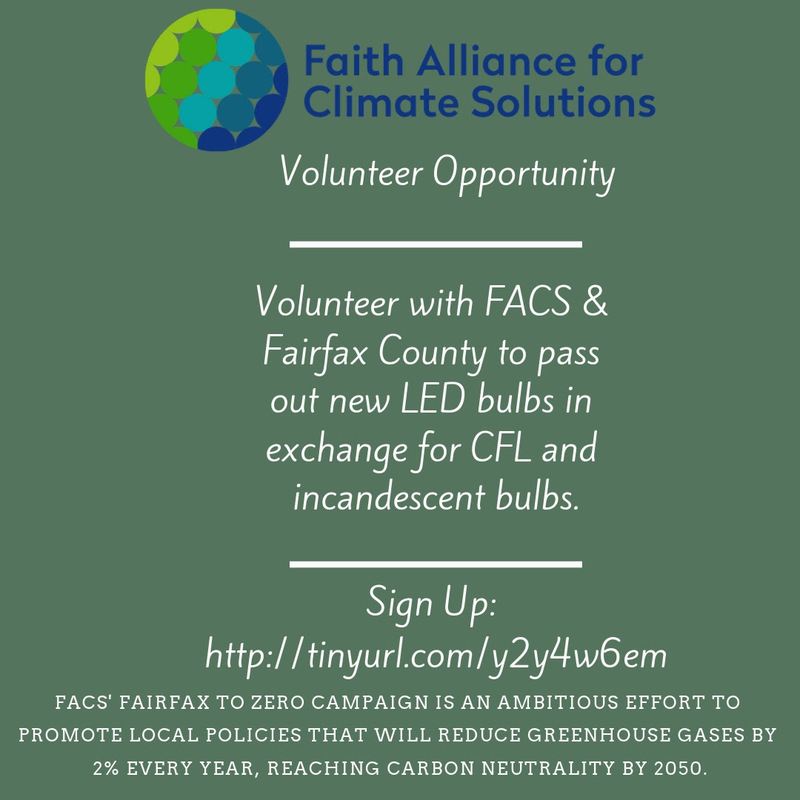 Faith Alliance for Climate Solutions (FACS) Sustainability Champions Awards celebrate and recognize the contributions of individuals, congregations, businesses and local elected officials/public sector employees in Northern Virginia. These individuals and organizations work tirelessly toward improving the environment; contributing to a healthy, livable climate, in our community! Nominations will be accepted in these four categories: individual, congregation, local business, and local elected official/public sector employees. Please take the time to nominate those who deserve to be celebrated by submitting a nomination form before the May 6th deadline. Awards will be presented during the June 2nd, 2019 FACS Awards and Showcase Event at 3:00 p.m. Detailed information about how to nominate can be found here. Are you interested in volunteering at community events with FACS? We are looking for interested individuals who can talk about the work of FACS at community events such as farmers markers, festivals and conferences. FACS has all the materials and needs interested individuals who can volunteer for two hours at a time on week nights and weekends. We have many events coming up this Spring! If you’re interested email jackie@faithforclimate.org. Lewinsville Presbyterian Church (LPC) in McLean VA was recently certified by Presbyterian Church (USA) as an Earth Care Congregation. This honor speaks to the great commitment that Lewinsville Presbyterian Church has to caring for God’s earth. actions in the four areas specified by the program. Lent, which begins on Wednesday, March 6, is a time when Christian communities repent, reflect, sacrifice, and listen for God. Each day encourages you to take a different action and each of these actions will help to cultivate and to guard God’s great gift of Creation throughout this season. 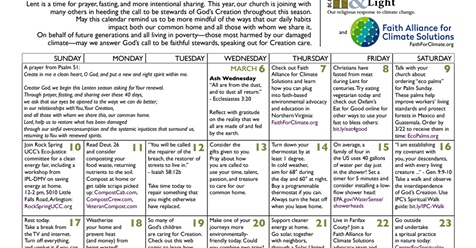 2019 VA Lenten Creation Care Calendar. A version in Spanish is also available. This was made in partnership with Interfaith Power & Light DC.MD.NoVA. Congregations can apply for grants with projects focused on watershed and energy conservation. More information can be found here. Looking to teach children about the environment? 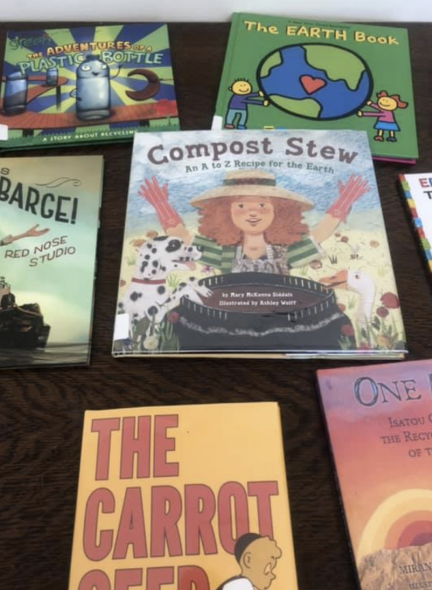 Our blog has recommended children’s books to read during a service or offer in your place of worship’s library. 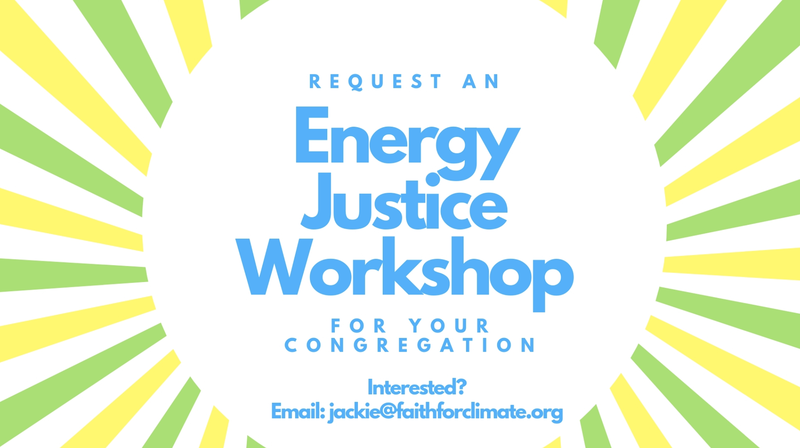 Hold an Energy Justice Workshop at your place of worship! This hands-on workshop will train participants of all skill levels to confidently undertake energy upgrades in their homes. Additionally, this workshop will focus on where our energy comes from and why it matters. Is your Green Team newly established or already established and looking for help, a consultation or ideas? Jen Koon, a FACS Ambassador, works with congregation leaders one-on-one to spark ideas, work through problems and develop goals. 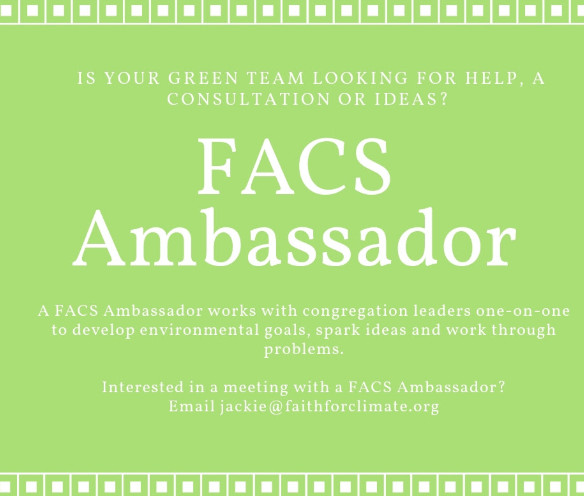 Email jackie@faithforclimate.org if you’re interested in meeting with a FACS Ambassador.